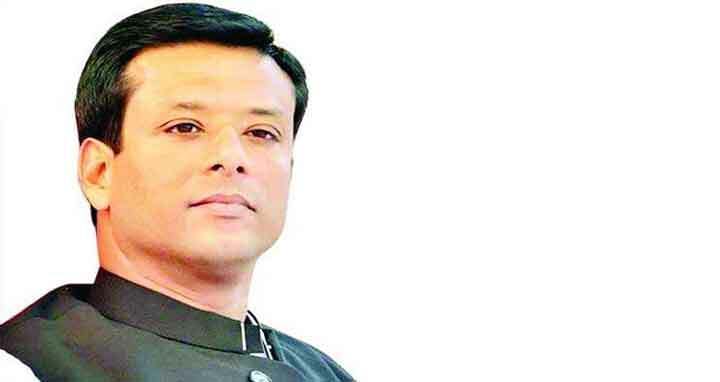 Dhaka, 29 July, Abnews: Prime Minister’s Information and Communication Technology (ICT) Affairs Adviser Sajeeb Ahmed Wazed Joy today expected Awami League candidates’ success in three city polls saying different independent survey reports projected their possible victory. “I can quite confidently say that in Barisal and Rajshahi, Awami League will win by a landslide. In Sylhet, we are slightly ahead, but it is too close to call,” he said on his Facebook post referring to three separate survey reports. Joy said his team commissioned three public opinion surveys for the three elections while the studies were carried out throughout July by independent Research Development Center (RDC). He said the according to the survey results, around 44 percent voters of Barisal City Corporation favoured AL’s mayoral candidate Serniabat Sadik Abdullah while 13.1 percent voters were in favour of BNP candidate Mujibur Rahman Sarowar and 0.8 percent in favour of other candidates. Joy said about 15.9 percent voters, however, refused to respond in the opinion polls in Barisal and 23.5 percent said they were yet to decide. “The sample size of this survey (in Barisal) was 1,241 registered voters,” Joy said. In Rajshahi City Corporation, about 58 percent voters gave opinions in favour of AL candidate Khairuzzaman Liton while 16.4 percent supported BNP candidate Mosaddek Hossain Bulbul and 0.9 percent was for other candidates. The premier’s adviser said about 12.3 percent voters were yet to take their decision and 9.6 percent declined to comment while the sample size of the survey in Rajshahi was 1,294 voters. In Sylhet, Joy said, about 33 percent voters preferred to see AL’s Badar Uddin Ahmed Kamran as their mayor while 28.1 percent wanted Ariful Haque Chowdhury of BNP when 1.3 percent favoured other candidates. He said about 12.6 percent voters in Sylhet refused to comment as approached by the survey team while the sample size there was 1,196 voters. “The margin of error (of the surveys) is approximately 2.5 percent,” Joy said. The premier’s adviser said RDC was conducting opinion polls for the past five years and “I have found their methods and results to be the most accurate”. He, however, said of course with the campaigns in full swing until midnight last night the results might vary slightly from these polls which were conducted over the past one month. Joy said BNP kept making “all sorts of complaints” but the fact was that it lost “all popularity” while Awami League, on the other hand, gained “more and more popularity over the years”. “The BNP is no longer an electoral threat to the Awami League,” he commented. Joy urged Awami League members, law enforcers and electoral officers to be vigilant against possible BNP attempts to seize polling centres and stuff ballots to blame the ruling party.